Following approval from competition authorities and all other conditions for closing the deal, Accell Group has completed its takeover of Raleigh. Accell said the acquisition of Raleigh adds well-known global brands to its portfolio and further strengthens its position in the UK and North American markets. The buy out was confirmed at the end of last month, having been mooted at the start of April. 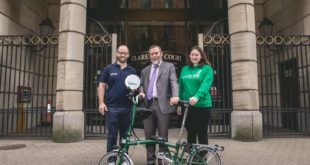 According to today’s statement, Raleigh sold approximately 850,000 bicycles in 2011 and expects to realise annual revenue of around €200million (£161million). Geographically speaking, North America takes the largest split of revenue for Raleigh (48 per cent) closely followed by Europe (43 per cent). Rest of the world is nine per cent.